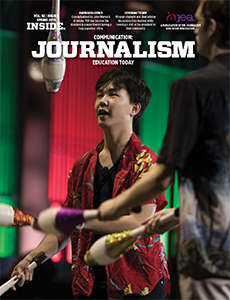 The summer 2019 issue of JEA’s flagship publication Communication: Journalism Education Today features a number of short features. Lessons learned at the JEA Advisers Institute. The Echo | Grand Blanc Community School (Michigan) | Yearbook illustrates modern design. 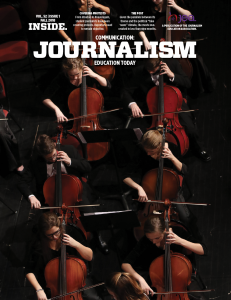 The spring 2019 issue of JEA’s flagship publication Communication: Journalism Education Today features a number of short features. In addition, we profiled two online publications. 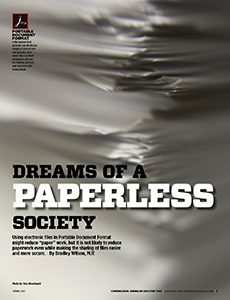 Building on the dream of a paperless office conceptualized five years earlier by F. Wilfrid Lancaster, PDF began as the pet project of one of Adobe’s founders, John Warnock. Initially it was an internal project at Adobe to create a file format so documents could be spread throughout the company and displayed on any computer using any operating system. He began with a vision, living in an ideal world, a world without paper, starting with sharable tax forms, as early as 1984 along with the debut of the first Apple Laserwriter. The idea really did not move forward then, but by 1991, it moved to the forefront again. In 1992, Adobe announced Version 1.0 of PDF at Comdex Fall, where the technology won a “Best of Comdex” award. Adobe released the tools to create and view PDF files, Acrobat, on June 15, 1993, advertising the release with an accompanying eight-page ad in The Wall Street Journal. The article mentions quite a few resources for students and advisers, including original documents on the formation of PDF and the idea of the paperless society. Here are direct links to those references. Jack Kennedy, MJE, a former JEA president and now Colorado Student Media Association executive director can be profound with the simplest of statements. The day the winter issue of C:JET hit his box was no exception. So, he asked if it were possible to make the package available more widely. 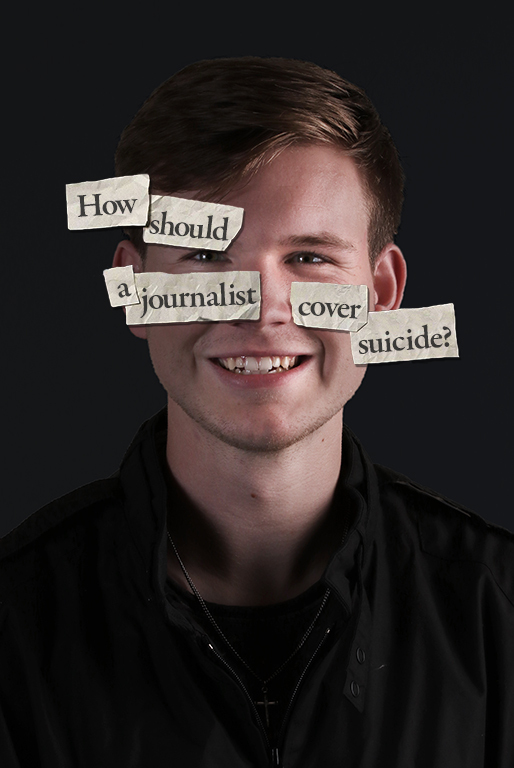 So, to all 3,000 members of JEA and others, here is an excerpt from the winter 2018 issue including 13 tips for media coverage of suicides, a model for Suicide Awareness Week, thoughts from advisers all over the country, case studies, sample policies, and academic research with guidance. Maintain objectivity. Do not use big, sensationalistic headlines. Phrase headlines to refer to the death, not the manner of the death. Maintain objectivity. Do not place the story at the top of page one or at the top of the website for an extended period of time. Maintain objectivity. Do not devote too much space to the coverage of the event. Instead, devote space to the mental health issues. Be sensitive to the family and to the community. Be careful about how and when you release timely information on social media. Include up-to-date information on the investigation to present information such as whether a note was found, without quoting the note. Realize that investigations take time. Do not refer to the cause of death without an official statement. The rest is speculation. When discussing the speculation, include comments from suicide prevention experts and mental health experts. Use a traditional school photo or a photo provided by the family. Avoid pictures of the scene or grieving friends. Contrast “suicide deaths” with “non-fatal attempts.” Do not use “successful” suicide or “unsuccessful attempt.” Attempted suicide may technically be a crime. It is best reported as a public health issue. Work with mental health officials, including school counselors, to discuss the bigger issues of mental health that help present the suicide in context. Do background research. Use data from the Centers for Disease Control and the state’s health department to discuss trends in suicide. Include suggestions about what to do or whom to consult if students or their friends are considering suicide with all coverage, including information on where students can go for assistance, including the National Suicide Hotline number and local crisis phone numbers. CLICK HERE for direct download of PDF file. CLICK HERE to view document on issuu.com. Media Coverage as a Risk Factor in Suicide. Stack, S. April 2003. Journal of Epidemial Community Health. 57. 238-240. Media Contagion and Suicide Among the Young. Gould, M., et. al. May 2003. American Behavioral Scientist. 46(9). 1269-1284. Suicide in the Media: A Quantitative Review of Studies Based on Nonfictional Stories. Stack, S. April 2005. The American Association of Suicidology. 35(2). 121-133. The Impact of the Media Coverage of the Suicide of a Well-Known Quebec Report: The Case of Gaëtan Girourad. Tousignant, T., et. al. 2005. Social Science and Medicine. 60. 1919-1926. 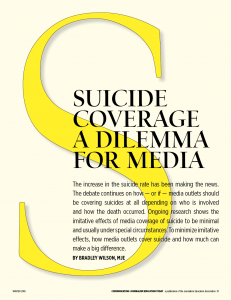 Position Statement and Guideline on Media Coverage of Suicide. Ramadas, S. et. al. April 2014. Indian Journal of Psychiatry. 56(2). 107-110. Trends In News Media Coverage Of Mental Illness In The United States: 1995–2014. McGinty, E. et. al. 2016. Health Affairs. 35(6). 1121–1129. 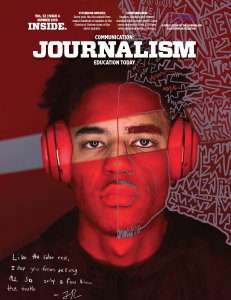 The winter 2018 issue of JEA’s flagship publication Communication: Journalism Education Today features a 17-package on how scholastic media can accurately, fairly and in a timely fashion cover a suicide at their school. The package features decades worth of research and, finally, 13 specific tips for such difficult coverage. After two stories based on sessions at the JEA Advisers Institute, one by Erin Burden and one by Jenann Elias there are also two technology stories, one on TimelineJS by Nicole Smith and one on Steller by Jacqueline Rogers. The cover photo is by Claire Schaffer of Westlake High School (Austin, Texas), Deanne Brown, adviser. The second major package in the magazine is an in-depth package on making font choices by Bernadette Cranmer, MJE. Not only does the package of stories include various sample of sophisticated typography from various high school publications, it includes a list of books for type nerds with commentary by Cranmer and a vocabulary list. It also includes an exercise on typography on page 36. Here are the answers. This question has a variety of answers depending on the fonts installed on your system. There are 12 points in a pica. There are 6 picas in an inch. There are 72 points in an inch. When a printer says set the copy “10 on 12,” it means to set the copy in 10 point font with a 12 point leading or 2 points of blank space between each line. A serif font is considered the easiest to read in body copy sizes because the serifs help join the individual letters into words allowing the mind to “chunk” the pieces together so they can be read faster. For the film, select discussion scenes, important results and journalism challenges. Plan appropriate questions after showing a short segment — five to 10 minutes. Consider using repeat segments later in the semester. The information about the actors and the historical background provides helpful details about the stature of “The Post” as a major journalism film. Advisers should recognize the many details that director Steven Spielberg considered as he worked carefully to establish credibility for a film about the history of freedom of the press. Being familiar with the background and the trivia details equips advisers to enhance the value of the film for their journalism students. 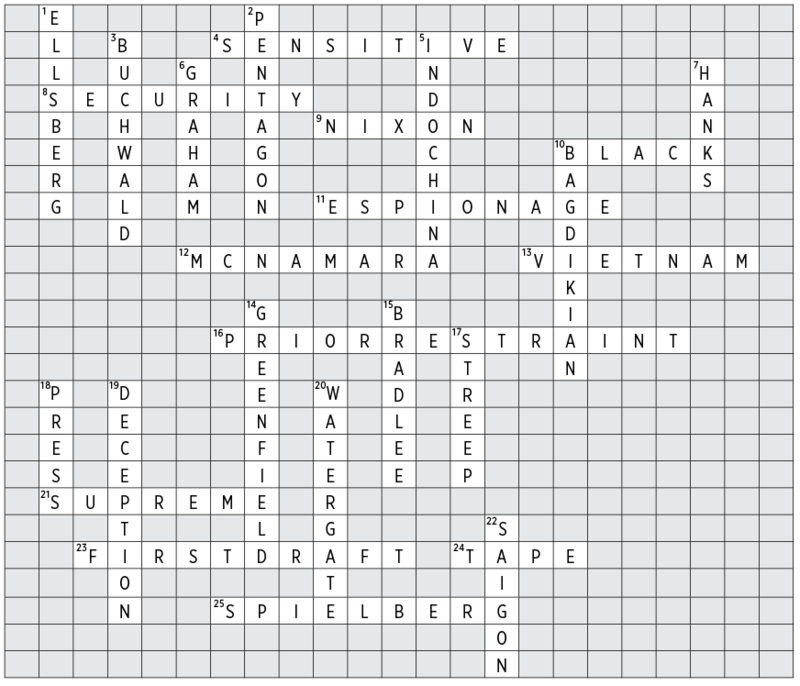 On page 11, students can crossword puzzle while doing background research and reading articles contained in this issue, complete the crossword puzzle. Here’s the answer key to the puzzle. 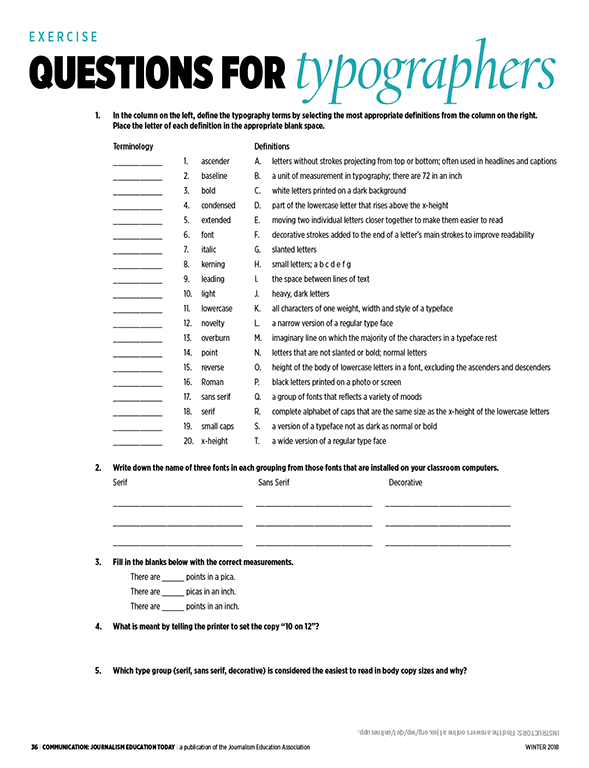 On pages 12-13, students can complete a chronological movie guide while watching the movie, ideally after having completed other exercises and having reviewed other material with the instructor. Here are the answers to the open-ended questions. Why was Judith Martin denied the opportunity to cover Tricia Nixon’s wedding? She burned her bridges when she crashed the reception of Nixon’s older daughter Julie. She compared Tricia Nixon to a vanilla ice cream cone. Even while reading the paper, Graham acknowledges, “It’s hard to say no to the president.” What had she done with the president and his family? What did the president want? She had spent a weekend swimming and speedboating on Johnson’s ranch. In return, Johnson wanted the paper to endorse. How does Bradlee try to take advantage of Graham’s relationship with McNamara? He tries to use Graham to get a copy of the study from McNamara. How many shares did the initial offering of The Washington Post Company sell and at how much? Why was this significant? 1.35 million shares at $24.50/share. Graham had been pushing for a higher price per share to fund more reporters. The study had 47 volumes. Covert ops. Guaranteed debt. Rigged elections. What was the motivator for copying and distributing the sensitive material? Guilt. A bigger motivator than courage. What was Nixon’s reaction according to actual tapes of him played in the movie? “I want it clearly understood that from now on, ever, no reporter from The Washington Post is ever going to be in the White House. … Never, never in the White House, no church service, nothing that Mrs. Nixon does. … [N]o reporter from The Washington Post is ever to be in the White House again. And no photographer either. Carol Lange also published a guide to “The Post” for The Washington Post’s Newspaper in Education program. VIEW IT HERE.